Mostly chaos here today, but here are two amazing things. The first is that it snowed in the Sahara last week. 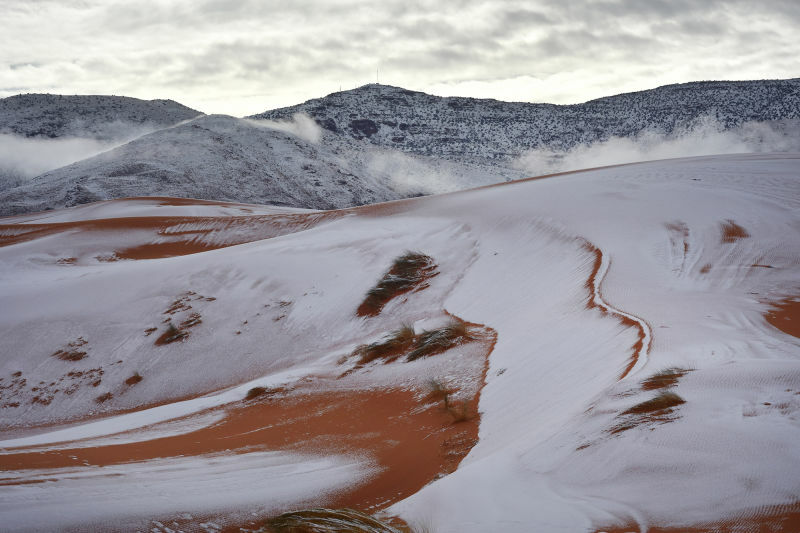 More images here: PHOTOS: The Sahara Desert, Painted White With Snow. For a place that gets six inches of precipitation with an average January low temperature of 54F, that's incredible. The only other time there was recorded snowfall was in 1979. Ever. 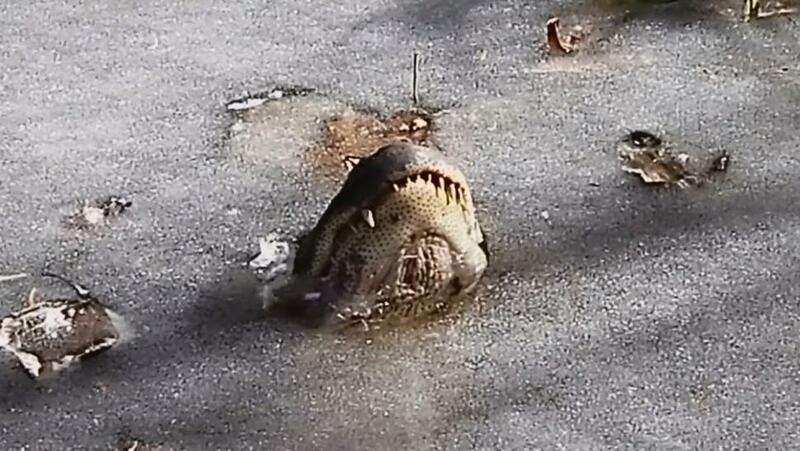 Story: How do alligators survive the cold? It’s a pretty unique solution. Alligators in North Carolina are dealing with the freezing temperatures by sticking their noses up through the ice to breathe. According to George Howard, the general manager at Shallotte River Swamp Park in Ocean Isle Beach, the gators, including the 12 rescued at the park, stick their noses up through the ice to breathe, then they hibernate. Howard said technically the American alligators’ form of hibernation is called brumation. He said they lower their body temperature and metabolism so they can survive. According to Howard, this is completely normal as a survival mechanism for alligators.